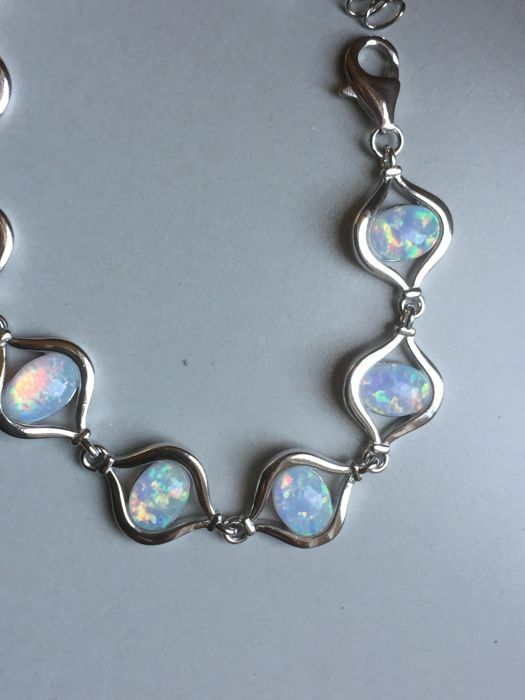 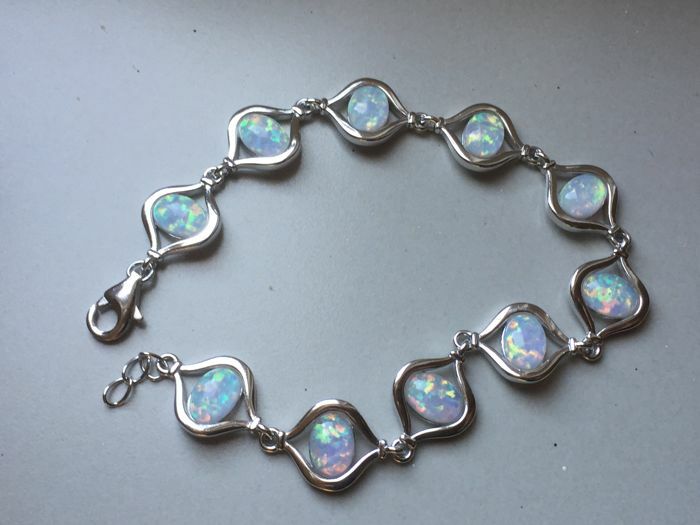 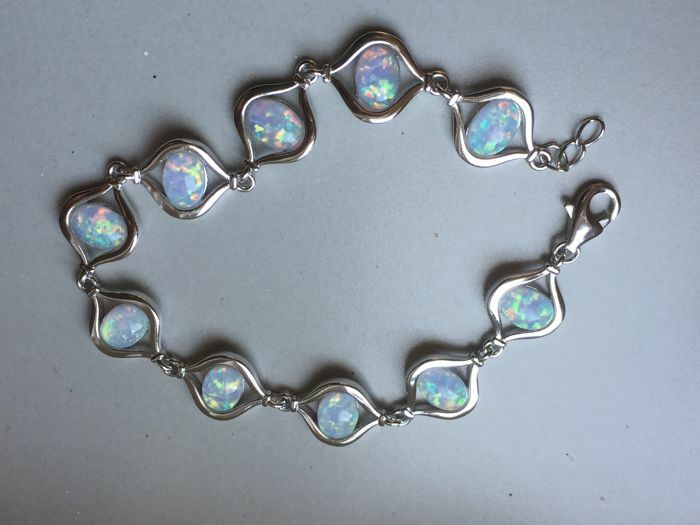 Very beautiful vintage silver bracelet with opal. 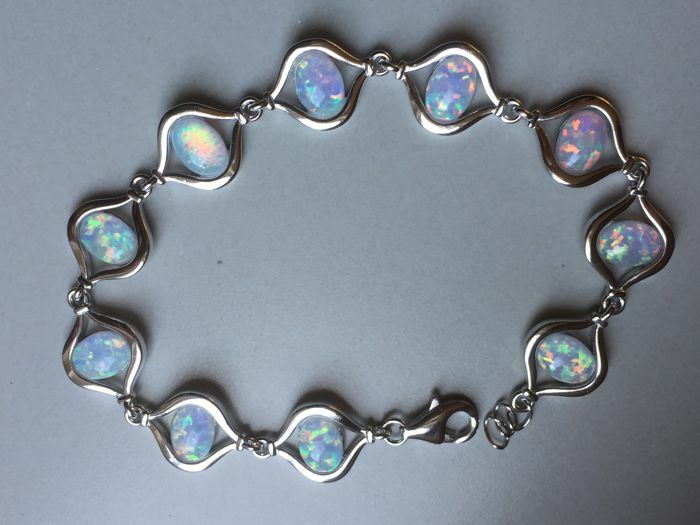 Origin: Australia. 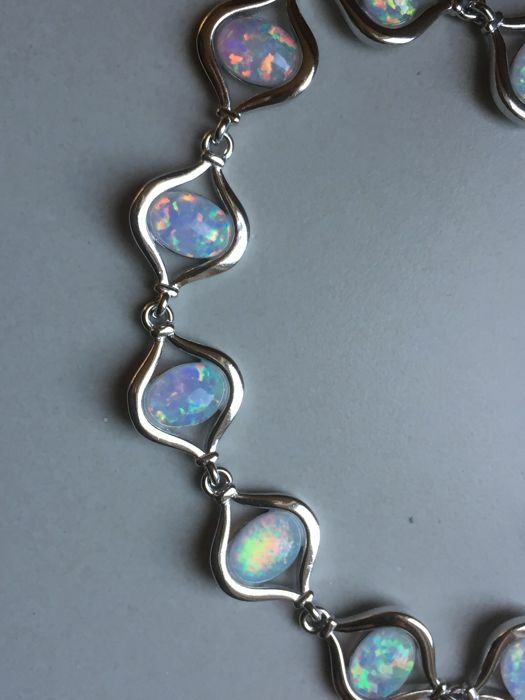 Length 19.5 cm. 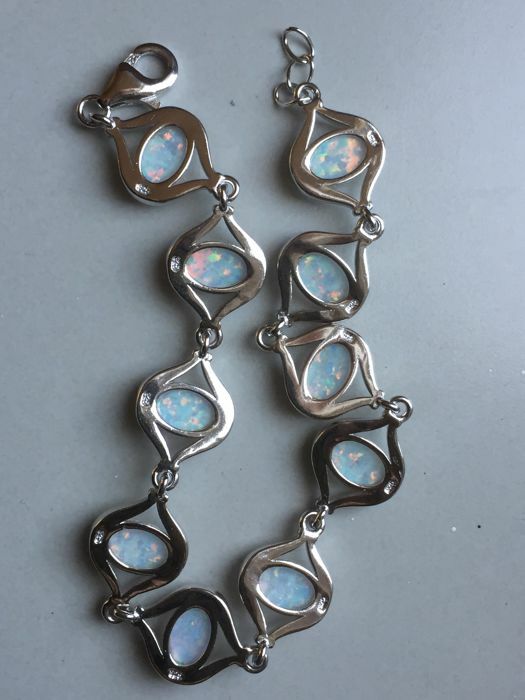 Opal stones are 0.9 x 0.7 cm, 10 pieces; all links are marked.